TEENAGER Victoria Payne is making an impact in the world of trial bike riding. Victoria, 18, a member of Great Britain Youth Squad, is now ranked seventh in the UK. She rides for the Malcolm Rathmell Sport team and competes in races across the country and Europe. 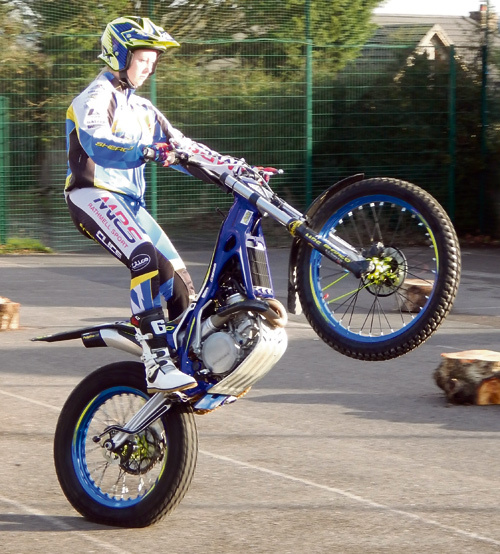 In 2014, she won the British Championship youth class. Victoria began riding at the age of six when her father bought her first bike. She devotes more than ten hours a week to practising and training in the gym.